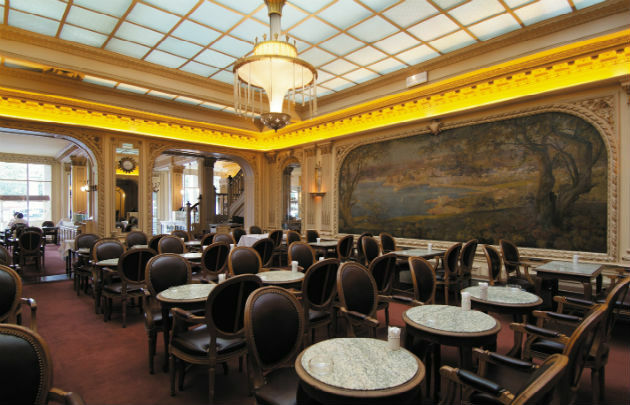 In 1903 Rampelmeyer came forth to set out the Parisian landmark ‘Angelina tea house’ named after his granddaughter. Its atmosphere is serene, charming and finely tuned, as it’s interior design, commissioned and decorated by Edouard-Jean Niermans, a veteran Dutch bone architect, remains unaltered up to the present day. The classic pattessery ‘Angelina tea house’ is famous for the most sophisticated, yet simple African hot chocolate (le chocolate chaud), with its main ingredient, cocoa, carefully picked from the African equatorial climatic zone. If it’s your first time to visit, be sure to taste their signature patisserie, Mont Blanc-a famous crème de la crème made from fromage blanc, meringue, chestnut cream and the rest of the recipe remains a secret under the three-generation head pastry chef de cuisine Sébastien Bauer. Imagine in a home of chocolate lovers, the tea house also serves a range of delicacies, on top of the menu is the Parisian breakfast, served in handy with an assortment of pastries. The list is long, croissants, choco-filled pastry, chestnut cream, and freshly baked bread rolls from a classic Semi-cooked duck foie grass salad, omelets, summer soup, to mouth-watering classic Angelina club sandwich. If you live in Paris or will be there for any length of time, you owe it to yourself to experience the rich history, the décor, the service, and the signature dishes of this quintessential Parisian experience.